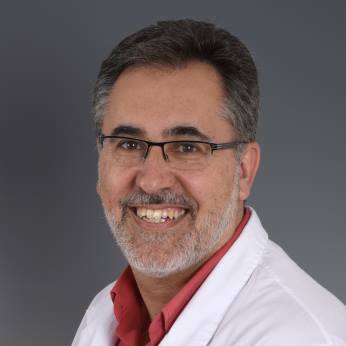 I have been a paediatric intensive care physician at the SJD Barcelona Children's Hospital since 1998. I finished my residency in Paediatrics in 1994, advancing my knowledge in Paediatric Intensive Care until 1997. My areas of special interest currently include research on mechanical ventilation and the international promotion of the use of non-invasive ventilation in both acute and chronic patients. I follow the old adage, "do unto others as you would have them do unto you". Course on chest ultrasounds. Parc Taulí Hospital , Sabadell, 2017. Basic Statistics. Autonomous University of Barcelona, 2013. PhD in Medicine. University of Barcelona, 2013. Bachelor's Degree in Medicine. University of Barcelona, 1990. Lecture at the World Congress on Paediatric Intensive Care. 2016, Toronto. Lecture at the Indonesian Congress on Paediatric Intensive Care, 2016, Bandung. Lecture at the European Congress on Paediatric Intensive Care, 2014, Barcelona. Lecture at the World Congress on Paediatric Intensive Care. 2014, Istanbul. Lecture at the World Congress on Paediatric Intensive Care. 2011, Sydney. Workshops and courses on non-invasive ventilation since 2008 in Switzerland, Argentina, Kuwait, Israel, Australia, Turkey, France and England. Unbound research group on the critical patient since 2012. Respiratory working group of the European Society of Paediatric Neonatal Intensive Care (ESPNIC) since 2012. Respiratory working group of the Sociedad Española de Intensivos Pediátricos (SECIP) [Spanish Society of Paediatric Intensive Care Specialists] since 2001. Individual research on the respiratory care of patients in a critical condition, 1998 - 2012. Non-invasive ventilation in Pediatrics. European Society of Paediatric Neonatal Intensive Care since 2012. Master's Degree in Nursing Care in Childhood and Adolescence. University School of Nursing of the SJD teaching campus, since 2005. Master's Degree in Nursing Care in Paediatric Intensive Care. University School of Nursing of the SJD teaching campus, since 2004. SECIP courses on non-invasive ventilation since 2005. SECIP courses on mechanical ventilation since 2004.